Microsoft’s Xbox One isn’t a slick as it might have been, and although we’re expecting revised design and coloring options to trickle out over the next few years, one concept maker has come through with something rather special. The matte black finish, which is curved and rounded off to complement the design of the all-new Xbox One controller, has us wishing it were real, and below, you can check it out for yourself. Although it would be quite a statement to label the Xbox One as ugly, there’s little debating the fact that it’s terribly bulky, and doesn’t subscribe to the slick, compact designs we see right across the tech spectrum. Of course, given the amount of hardware that Microsoft has bundled into its latest and greatest entertainment machine, we’d hazard that the Redmond made it as small as it could, but with further research and development, there’s certainly scope for a slimline version further down the line. Concept maker Michael Retovona has done what all good designers do and cooked up an Xbox One that we could all fall in love with. Not only is it a lot easier on the eye than the current Xbox One, but it’s also much smaller, and so wouldn’t command as much space below the living room television. If anything, the design reminds us of the Apple Mac mini, and if Microsoft’s flagship console did get such a redesign, there’d certainly be folks out there willing to purchase based on looks alone. 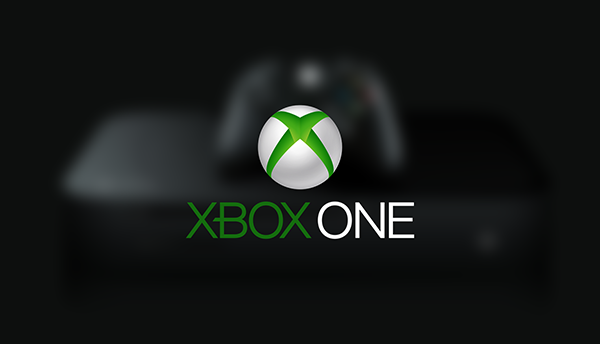 At the present time, the Xbox One trails the PlayStation 4 in the battle of the next-gen consoles, which is more than disappointing for Microsoft given that the Xbox 360 outsold the PlayStation 3 internationally. Then again, with so much fuss and uncertainty regarding used games in the months leading up to the Xbox One’s release, it’s not too surprising that consumers have jumped on Sony’s alternative offering. Added the fact that, in terms of graphics performance, the PlayStation 4 is more powerful – allied to the fact that until recently, the Xbox One was $100 pricier than the PS4 thanks to the mandatory status of the Kinect sensor – and you’d have to conclude that Microsoft has been its own worst enemy in these critical early stages. Still, there’s a long way to go, and if the Xbox One sees a couple of Titanfall sequels during its lifespan, things could quickly change. 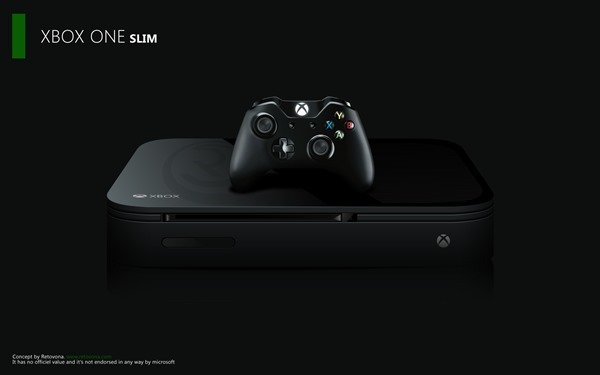 One thing’s for sure – if a future slim Xbox One looks anything like Retovona’s efforts, it’ll do Microsoft’s cause no harm whatsoever.